There are few experiences that can alter your reality and impress you with the grandness of life on Earth. An African safari through Botswana’s breathtaking landscapes is one of those experiences. Enjoy unparalleled game viewing in some of the nation’s best parks and game reserves. Enjoy a dinner cruise up the Zambezi River, game drives, mokoro, walking safaris or even experience tribal life in a colorful African village. In the evenings, relax in a mixture of trendy hotels, quaint lodges and remote safari camps. Feel the spray of the spectacular Victoria Falls as you meander along a forest path for views that are awe inspiring. Considered by many as one of the finest game viewing experiences in all of Africa, roam the plains of the Chobe National Park for a chance to glimpse elephants and other big game. 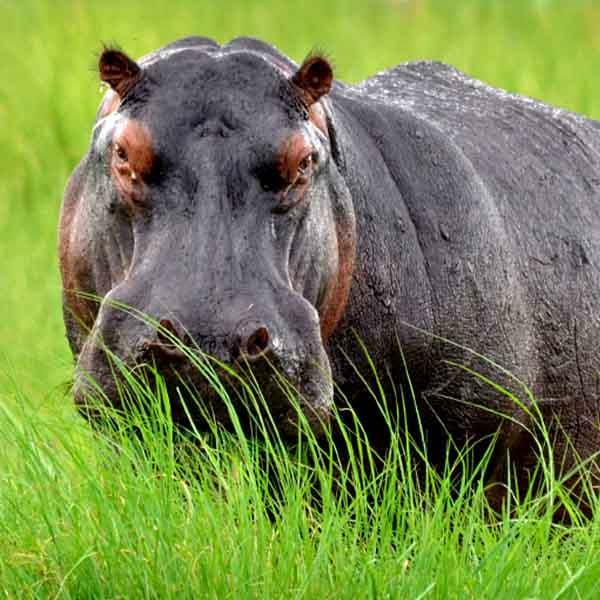 A boat trip down the Chobe River may get you up close to families of elephants, bobbing hippos and grinning crocodiles. Head for the magnificent Okavango Delta, famed for its big cats and bird population. Explore by boat, traditional mokoro or on walking safaris and your expert guides bring you up close to the wild! As the sun sets, draping its golden light across the expansive landscape, you’ll wish your time in Botswana never had to end. Kensington Tours offers local support in each region you visit, another reason we deliver unbeatable value. Enjoy a personalized vacation that best suits your needs, developed by one of our experienced destination experts. Relax during your trip with our 24/7 support and expert local guidance. NOTE: Due to capacity constraints in Botswana, there is a 20% non-refundable booking fee. This booking fee is paid to the lodges directly to secure reservations. This will be paid upon confirmation of your booking.